Role Centers are cool, but you don’t have to just personalize them with Dynamics AX information – you have a whole slew of standard SharePoint web parts that you can use to spice up the pages. An example of something that you may want to do is add a banner image to the role center to display corporate banners or branding information. This is easy to do – all you need to do is create the banner image and then add it to your role center through the personalization. If this sounds interesting to you all then just read on and learn how you. Sometimes the menus within Dynamics AX can be a little overwhelming because there are so many different menu items, and really you just use a handful of the menu items on a daily basis. Also, sometimes to perform a business flow you need to go to a couple of different area pages in order to find all of the things that you need. 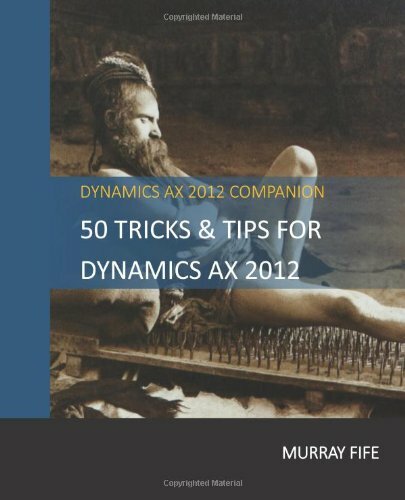 As you use Dynamics AX more and more, you will find that you are sometimes using some functions from one area of the system, and then other features from another area in order to complete a task. Although everything is in the logical place, you may want to have a way to access everything at once from one menu. That’s not a problem though, you can easily create your own menu groups that meld multiple areas into one single location to make it easier to find everything that you want. And you don’t even have to wait for lightening in order to make it come alive. There are those people that are casual users of Dynamics AX that look through the data and occasionally update it, and there are those that are always updating and tweaking the data in the system. If you are in the latter of the two groups, then you probably hate going into a form and having to click on the Edit button so that you can change the data. It may be one click, but if you are doing it thousands of times a day, then this quickly starts becoming a chore. Luckily there is a simple option that you can change that will make it so that every time you go into a form, it will automatically start in edit mode. With all the spare time that you just got, what on earth will you do with yourself.